It takes all kinds of jobs to run a furniture company and Ashley Furniture is bringing even more of those jobs to Davie County. It was announced today that over the next several months Ashley Furniture will add 300 jobs to the manufacturing center in Davie County bringing the total Ashley Furniture Davie County workforce to 1,200 employees. Reality rarely beats projections when it comes to initial projections on the number of jobs to be created when a new facility opens. In Ashley Furniture’s case, the reality blows the early projections out of the water! When Ashley first announced the opening of a new manufacturing center in Advance, NC they committed to having a workforce of 550 in place by 2017. As of May, 2015 the facility already employs over 800 people. With over 2,8 million square feet (65 acres under roof), the Ashley Furniture Mid-Atlantic Manufacturing and Distribution Center in Advance, North Carolina is poised to become the largest furniture manufacturing facility in the world. Job seekers should apply in-person at the Davie County plant or online at www.ashleyfurniture.com. 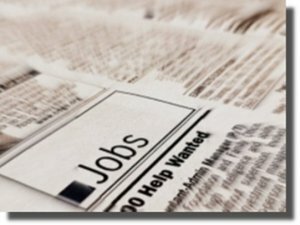 Many of these jobs are also posted towww.daviecountyblog.com/jobs. The decision on where to invest in a new manufacturing plant is one of the most important decisions a company makes. Long term success for the company requires the right location, the availability of a skilled workforce, strong workforce development programs, and well developed utility, energy, communication, and transportation assets. All of these components are in place in Davie County. Davie County’s location in central North Carolina, bisected by I-40, with I-85 and I-77 only minutes away is within a one day drive of 60% of the US market, one half of the nation’s population and one trillion dollars of industrial production. Rail freight services available through Southern and Norfolk Southern and two major airports within about an hour’s drive also make Davie County an attractive location for manufacturing. Ashley Furniture has been in business since 1945. It began manufacturing furniture in 1970 in Arcadia, Wis. Today Ashley, who has been showcasing its products at High Point Market for close to 40 years, is the largest manufacturer of home furnishings in the world. The company currently operates manufacturing facilities in Wisconsin, Mississippi, Pennsylvania and California and has a distribution warehouse facility located in Brandon, Fla. Today Ashley employs 12,000 employees in the United States. All of Ashley’s manufacturing operations are equipped with state-of-the-art equipment and technology to maximize efficiencies to better serve customers’ needs. Ashley is a global company doing business in 123 countries… AND Davie County, North Carolina!